Everything was just perfect! We instantly felt like part of the family. Thanks so much guys! Very warm welcome, great staff, Open bar facility, beautifully decorated, great pool area, amazing food! Great game drives with David!! Very highly recommended! Big Five, recepção, estadia, equipe, estrutura, piscina, refeições, ranger (David), hóspedes e vinhos. Do número reduzido de hóspedes, do meu quarto e do tratamento dos funcionários. 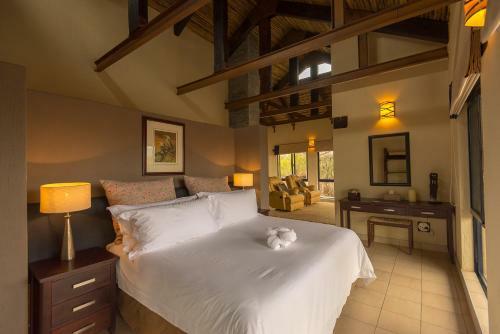 Lock in a great price for Baobab Ridge – rated 9.7 by recent guests! Baobab Ridge This rating is a reflection of how the property compares to the industry standard when it comes to price, facilities and services available. It's based on a self-evaluation by the property. Use this rating to help choose your stay! 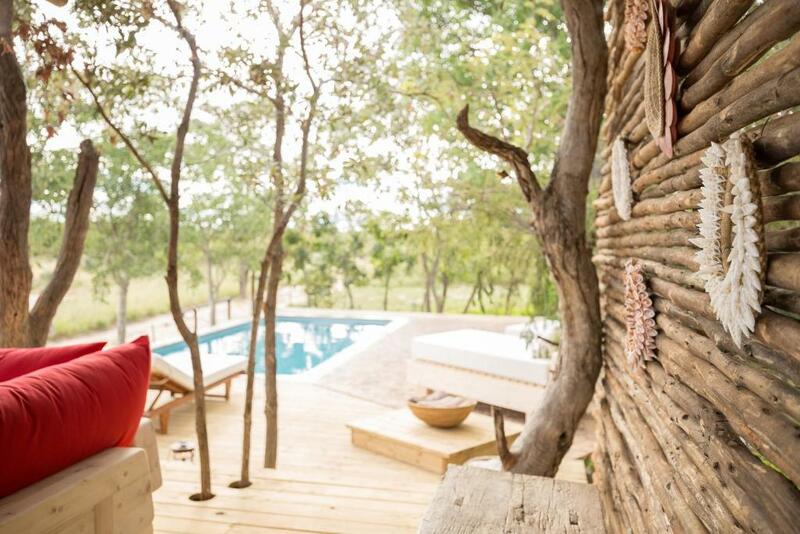 Set in the Klaserie Private Nature Reserve, part of the Kruger National Park, Baobab Ridge features an outdoor pool. It offers private cottages with a furnished terrace. With air conditioning, the cottages come with an open plan lounge area with armchairs, a bedroom with a dressing-table with hairdryer, an private bathroom, refrigerator and tea and coffee making facilities. Guests can relax on the sun terrace, which is fitted with sun loungers. Free WiFi access is available in the reception area. The main building also has air-conditioning. There is a satellite LCD TV and a DVD player in the shared lounge and bar area as well as a large dining-room. For corporate clients, it has a small boardroom upstairs. A variety of activities, like walking safari and bird watching, can be performed in the immediate surroundings. Free private parking is available on site. 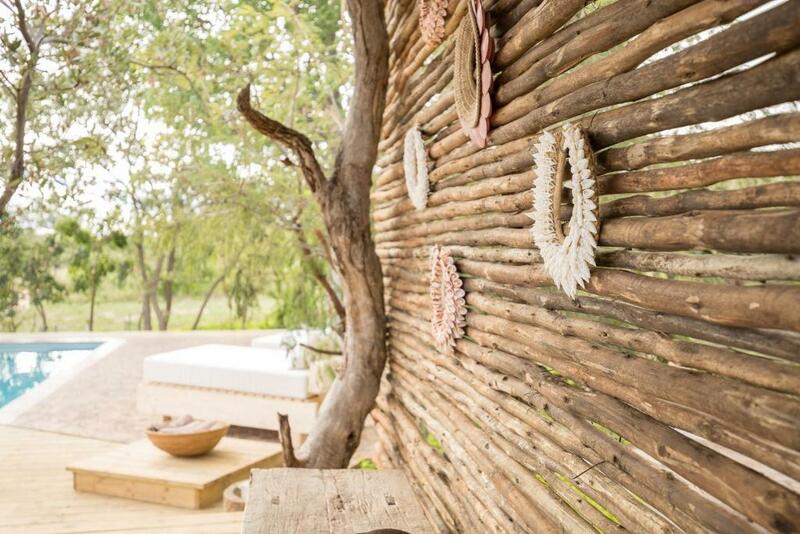 When would you like to stay at Baobab Ridge? This cottage has a raised deck with a terrace and outdoor furniture. It has 2 bedrooms with private bathrooms, a living area with a refrigerator and tea-and-coffee making facilities. The main bedroom has 1 double bed for 2 adults and the 2nd bedroom has 2 single beds, only suitable for maximum 2 children 12 years old and younger. These cottages have a raised deck with a terrace and outdoor furniture. They offer an open-plan living area, a refrigerator and tea-and-coffee making facilities. The large bathroom has a shower, bath, 2 basins, a toilet and bidet. The price is based either on single or double occupancy, however the maximum occupancy is 2 adults and 2 children under 12 years, or 3 adults. Please see hotel policies for extra person charges. The lodge is small with only 7 private cottages, which makes it more private and intimate. Also, as an owner managed lodge, extra effort and care is taken to ensure the guests feel at home. This is a real retreat for those seeking peace and quiet. Our family has been running traditional safari lodges in Africa since the 70s. We are a family run and owned business and take pride in nurturing a close and warm relationship with our guests and staff alike. We are in a very special area, as a part of the greater Kruger National park. Animals roam freely between us, the Kruger National Park and our neighbour the Timbavati Reserve. We have the big five and so much more such as on occasion the rare white lions (originate in our area), wild dog and cheetah! 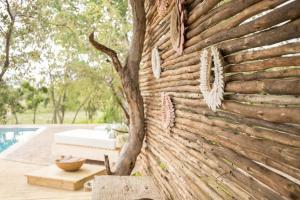 House Rules Baobab Ridge takes special requests – add in the next step! One child under 12 years is charged ZAR 4200 per night when using existing beds. All children under 12 years are charged ZAR 4200 per night for extra beds. Any additional older children or adults are charged ZAR 5600 per night for extra beds. Baobab Ridge accepts these cards and reserves the right to temporarily hold an amount prior to arrival. A conservation levy per person is payable to the lodge by electronic transfer or in cash. Please contact the property for further details. Please note, due to its location within an unfenced game reserve, children under the age of 6 years old cannot be accommodated at Baobab Ridge. Please inform Baobab Ridge of your expected arrival time in advance. You can use the Special Requests box when booking, or contact the property directly using the contact details in your confirmation. During the day it gets very hot, and except for the room there is no aircon or fan in the lobby or around the pool. Plus, I think a small gym could be added for a bit of practicing when not on game drives.